Incense cones from the Erzgebirge (Eastern Germany) for a delicate room fragrance. Is handling incense resins, charcoal and incense holders too inconvenient? 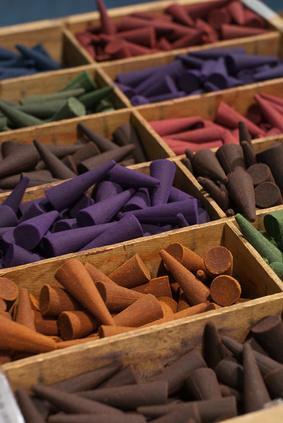 No problem, because these incense cones cast a spell over your home in seconds - absolutely uncomplicated and safe to use. Simply put an incense cone on a heat-resistant base and light the top. A lovely fragrant scent starts to circulate immediately.